Create the perfect design in every room of your residence when you visit our showroom for laminate flooring in Houston, TX. At Flaherty’s Flooring America, we feature an extensive selection of laminate wood flooring for homes throughout the area. When you are ready to update your bathroom, kitchen, or other part of the home, shop with us for the perfect option. Is it time for a change in your home? When you are tired of the same old look throughout your space, we are here to help you. Our flooring store carries different flooring varieties that make an easy addition to rooms of all sizes. We are available to discuss the features and benefits of our products to help you with your decision. Dreaming of hardwood flooring, but looking for an alternative option? Laminate floors allow you to create a standout style that holds up to any amount of use. 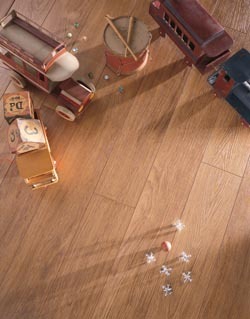 This popular material offers the classic look of hardwood with enhanced durability. Visit our showroom today to explore your options and start on your services. Homeowners love the look of hardwood, but wood is not an ideal option for every space. If you are ready to update your kitchen, bathroom, or other moisture-prone area, it is important that you select a material that holds up to moisture without allowing mold or mildew to form. When you choose laminate flooring for your home, you will also have the option of different types of underlayment. The underlayment provides a moisture barrier that not only protects the floor from damage, but also prevents mold spores from forming. Our team is happy to speak with you about your laminate flooring underlayment options. We provide a number of different choices, including felt, cork, and foam. With our recommendations, you will select the proper thickness to fit your new flooring. Complete your remodel with ease when you request the services from our team. Once you select the right laminate flooring for your home, you can count on us to finish the job the right way. Our experienced professionals are available to perform a complete laminate flooring installation throughout your home. Whether you have one room to update or the entire house, trust us to deliver a quality result. Contact us at (281) 297-8144 to learn more about our laminate flooring options for your home. 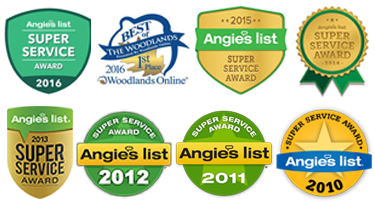 At our showroom, we offer products throughout the Northwest Houston area.